Valid for dine-in only. Must present Valpak® coupon. Cannot be combined with other coupons or promotions. Not to be combined with Lunch Box Specials. Not valid on any Holidays including: Thanksgiving, Christmas Eve, Christmas Day, NY Eve or NY Day. Coupon deducted from pretax total only. Discount does not include Alcohol, Tax & Gratuity. Valid Sunday thru Thursday only. One coupon per table. Coupon void if altered. Expires 05/05/2019. $5.00 OFF Any Purchase of $25 or more. Valid for dine-in only. Must present Valpak® coupon. Cannot be combined with other coupons or promotions. Not to be combined with Lunch Box Specials. Not valid on any Holidays including: Thanksgiving, Christmas Eve, Christmas Day, NY Eve or NY Day. Coupon deducted from pretax total only. Discount does not include Alcohol, Tax & Gratuity. Valid Sunday thru Thursday only. One coupon per table Coupon void if altered. Expires 05/05/2019. $10.00 OFF Any Purchase of $50 or more. 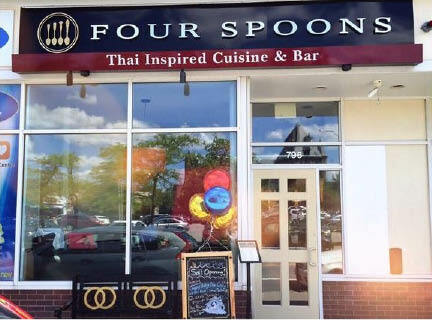 Four Spoons has being assembled by a friendly Thai group of friendship. A very well sophisticated four people have sincerely entered into partnership with running a business together. This restaurant is built up with the nest of love, care and attempt. Of course, Four Spoons is now empowering the professional services and mirthful circumstances, and definitely offered up authentic fresh foods. Four does not only come from four partners, but it also represents four seasons. It has been available in all various seasons, which are winter, summer, spring and fall. 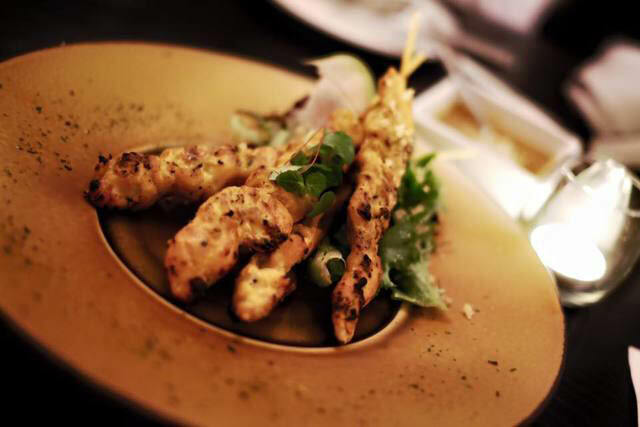 The customers undoubtedly are embraced with warmhearted welcome, amiable serving and healthy foods all the time. According to the namesake of Spoon, a spoon is a portrayal of the unique basic Thai tool in the way of consuming food. In Asian life, in general, people would realize that a spoon gets a long well with foods. Indeed, you cannot eat without it. All in all, a spoon is very particular silverware on the table. Metaphorically, a spoon is a demonstration of affluence, prosperity, success, luck and serenity. We truly believe that Four Spoons will be thoroughly served and enthused to the dearest customers with happiness, joyfulness and satisfaction. Our spoon would share the exquisite foods and the delectable beverages from the kitchen. We surely allow all customers to have a blast. Chef Pop has devoted himself to delicately make and decorate every single dish to give the mainstream on his foods that is the unique differences from the previous usual ways. To guarantee, the unabridged dishes you taste are very fresh and authentic due to exquisite concern on the materials.